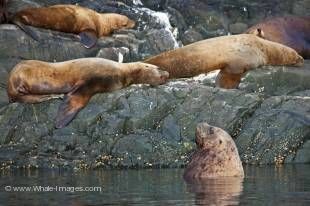 It's a challenge to get a good photograph of a Sea Lion as they tend to run and dive for the cover of the sea as soon as they see a foreign object approach. I have spent several years on the coastal waters of British Columbia, and have encountered these quick moving creatures on numerous occasions. It's great to see the Sea Lions flourishing in these parts as can be seen in many of my photos.